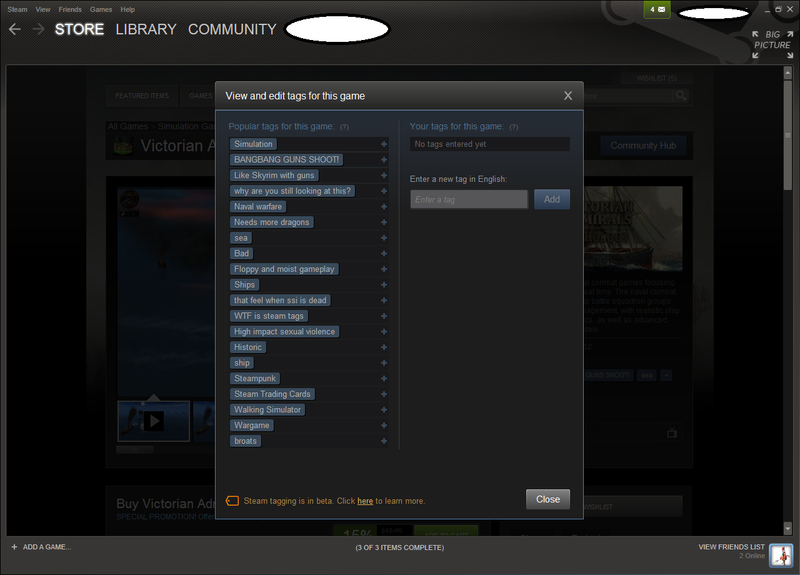 SWTOR: Banned For Going to Zones Above Your Level? 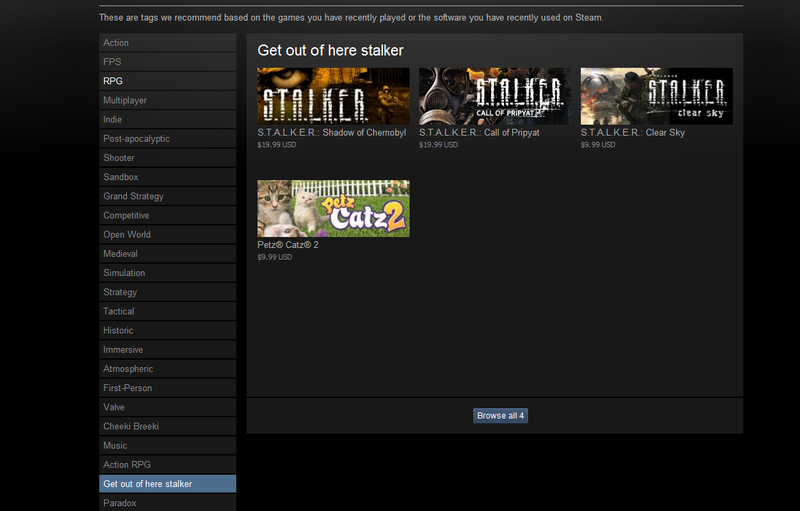 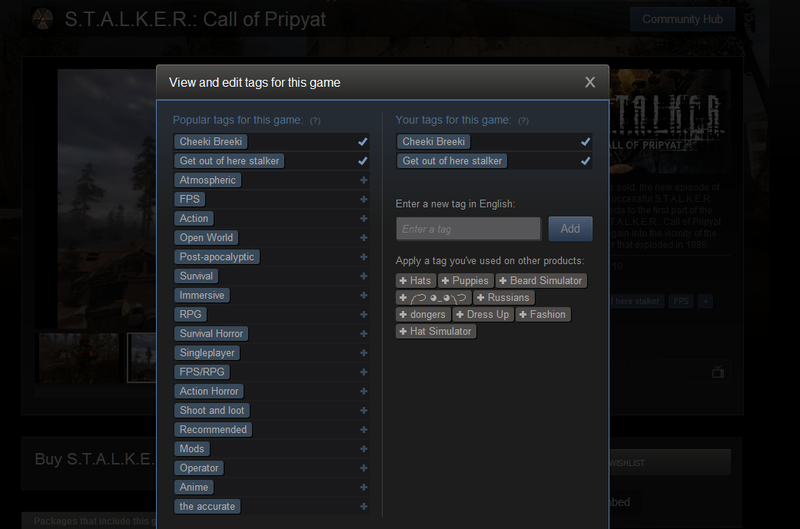 Steam has released a new community update beta that’s added tagging functionality to games. 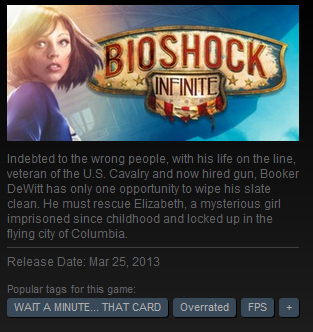 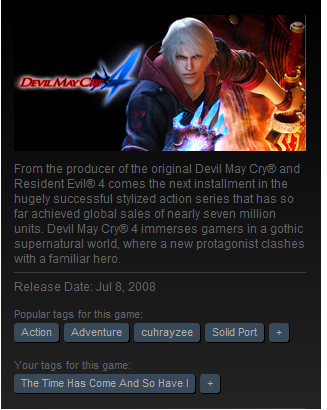 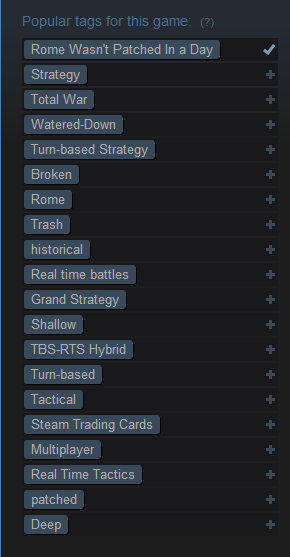 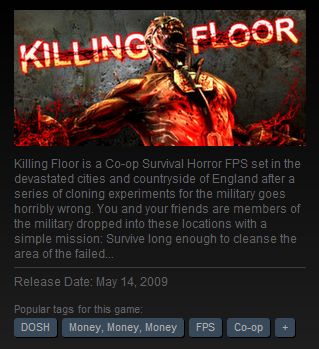 The tags come from the users of Steam itself and, as you may imagine, has resulted in some blunt criticism and hilarity. 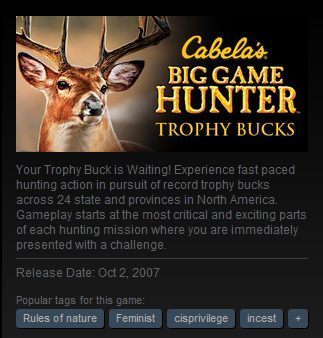 “Examples”, you say? 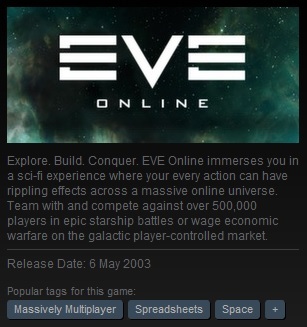 “Show us,” you demand? 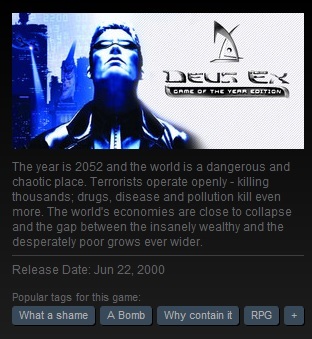 Well, so be it. 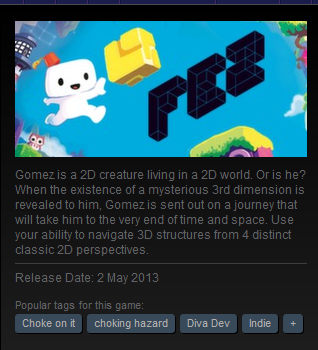 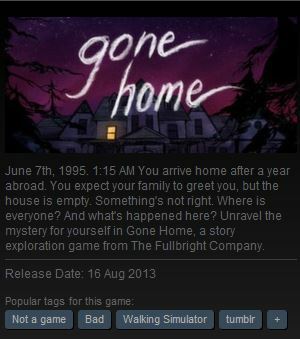 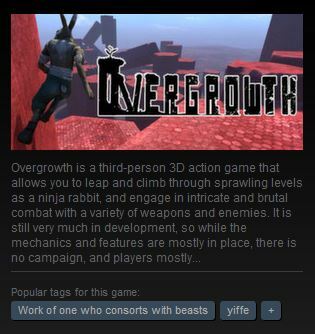 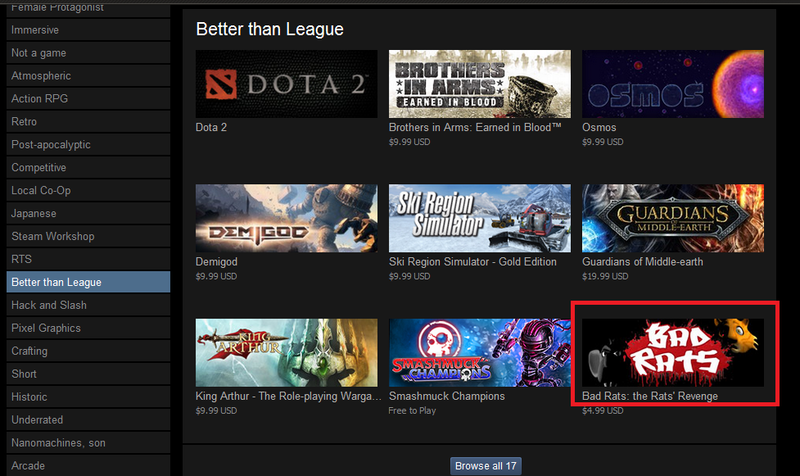 The most accurately tagged game thus far. 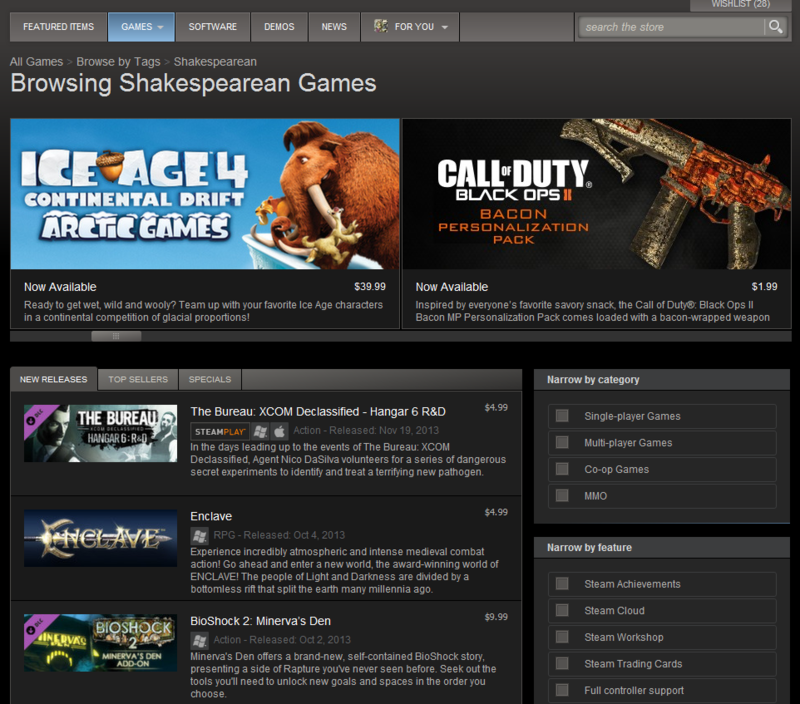 Modern Warfare 3 To Have Subscription-based Model?